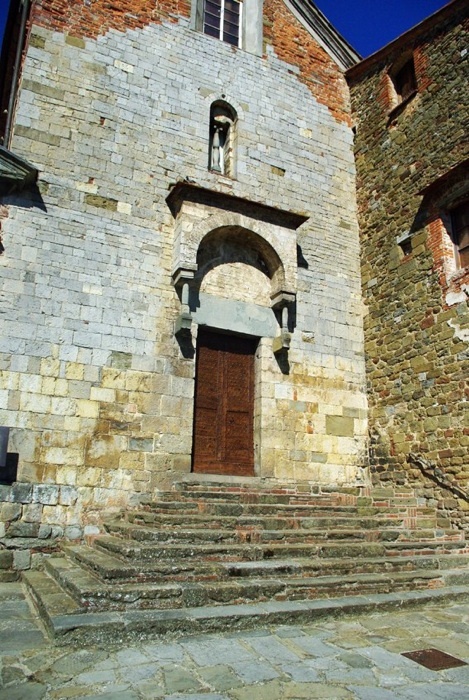 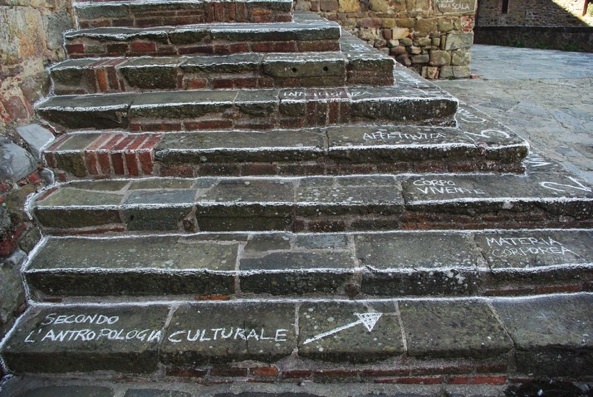 I studied the symbolism of the staircase in the context of both the Catholic religion and the cultural anthropology and I decided to offer two different ways of reading this part of the church for the visitors. 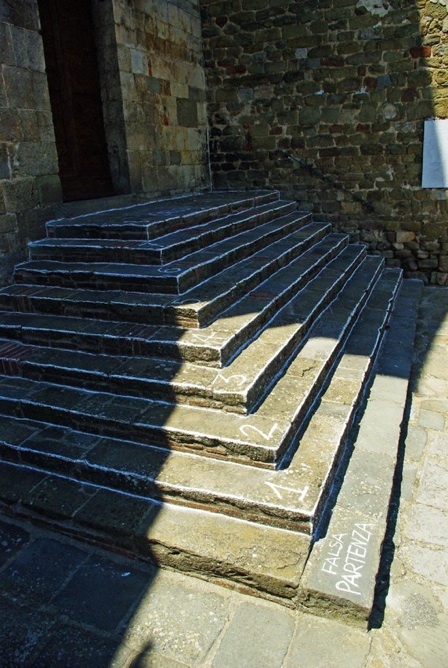 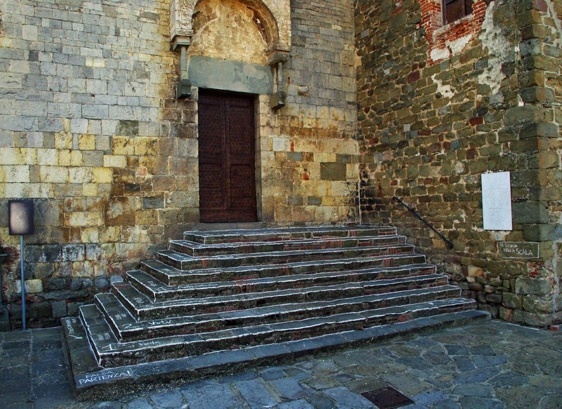 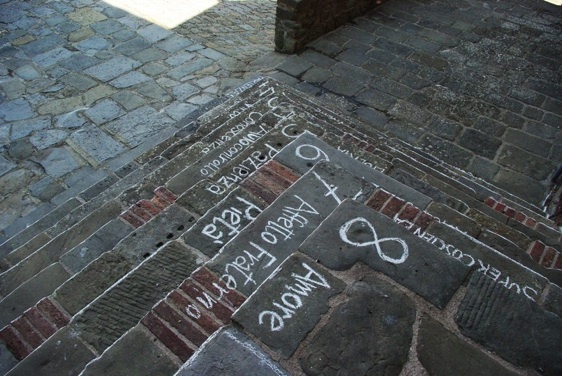 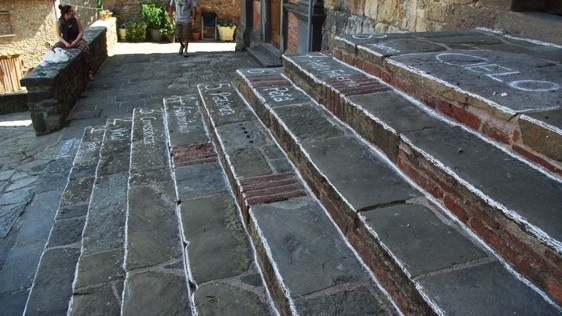 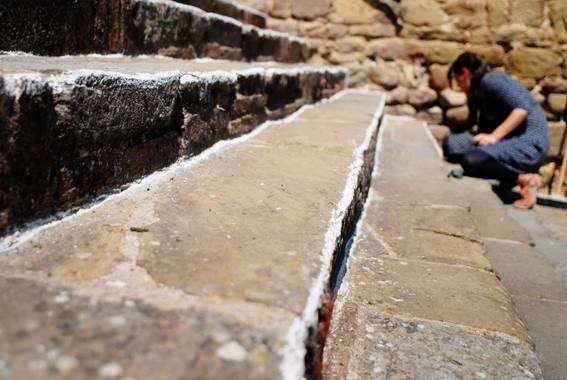 I underlined the stairs with white chalk, highlighting their geometry in order to detach them from the daily perception. 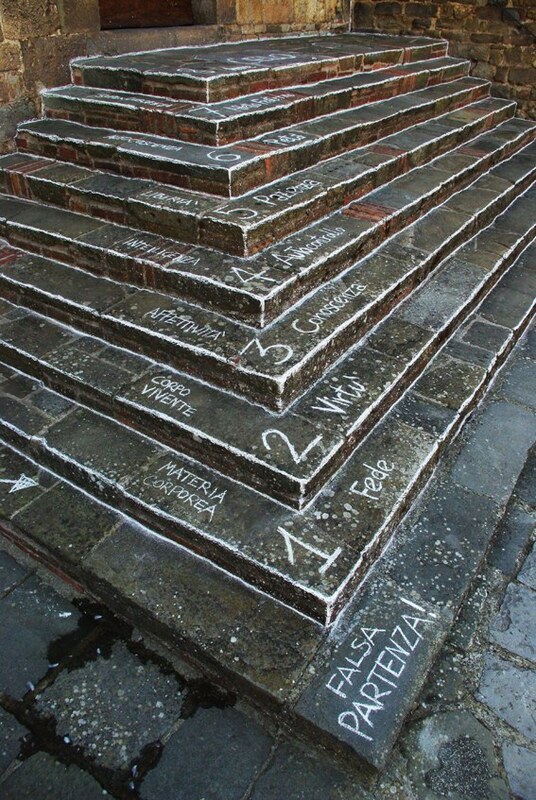 Then I wrote the hypertext, using on one side the definitions that St. Peter gave for each step in the Bible and on the other the ones established by the social sciences. 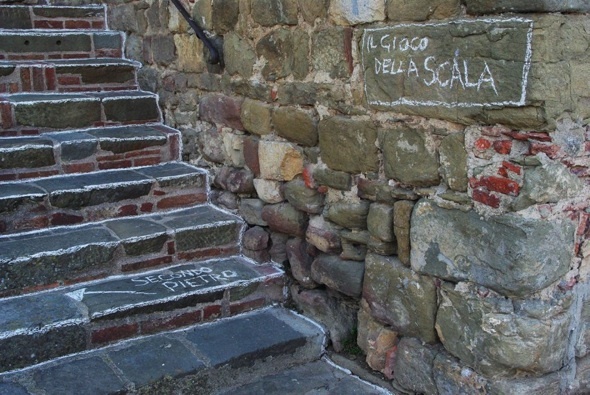 In this way I offered everyone the chance to play the game of ‘climbing or descending’ the stairs, choosing towards which “evolution” to go, either intellectually and/or religiously.